Transition metal complexes containing magnetically interacting open-shell ions are important for diverse areas of molecular science. The reliable prediction and computational analysis of their electronic structure and magnetic properties, either in qualitative or quantitative terms, remain a central challenge for theoretical chemistry. 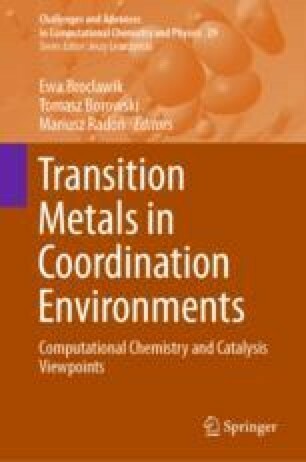 The use of multireference methods is in principle the ideal approach to the inherently multireference problem of exchange coupling in oligonuclear transition metal complexes; however, the applicability of such methods has been severely restricted due to their computational cost. In recent years, the introduction of the density matrix renormalization group (DMRG) to quantum chemistry has enabled the multireference treatment of chemical problems with previously unattainable numbers of active electrons and orbitals. This development also paved the way for the first-principles multireference treatment of magnetic properties in the case of exchange-coupled transition metal systems. Here, the first detailed applications of DMRG-based methods to exchange-coupled systems are reviewed and the lessons learned so far regarding the applicability, apparent limitations, and future promise of this approach are discussed.